Juan Bernat and Neymar scored to put PSG in control in the first half in the French capital. Liverpool manager Jurgen Klopp hit out at the referee and Neymar as his side slumped to a 2-1 defeat to Paris Saint-Germain on Wednesday that leaves last season's runners-up dangerously close to an early Champions League exit. 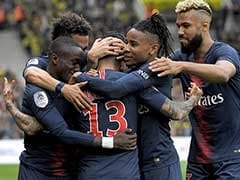 Juan Bernat and Neymar scored to put PSG in control in the first half in the French capital, before a James Milner penalty on the stroke of half-time ensured this pivotal game remained in the balance until the death. PSG knew a defeat here coupled with an unfavourable result in the night's other Group C game could see the ambitious Qatar-owned club eliminated already. But instead it is Liverpool -- beaten in each of their last five games away from Anfield in the Champions League -- who now seem the more likely to miss out on the last 16. "When you saw their line-up, the approach they chose was full risk, especially in the beginning, to try everything as long as your legs carry you. The quality they have meant it was obviously quite intense to deal with," admitted Klopp. 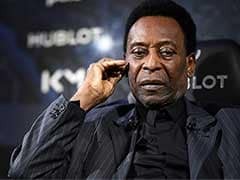 He acknowledged that his team had not been good enough, but hinted that a "clever" Neymar had play-acted to break the game up. He was also unhappy at Polish referee Szymon Marciniak for his decision not to send off Marco Verratti for a challenge on Joe Gomez in the first half. "For me it's a red card. I look like a bad loser, but I don't care," said Klopp. "Tonight we looked like butchers when you look at how many yellow cards we had. It was clever from PSG, especially Neymar, but a lot of others went down like it was something serious and we were not that calm anymore." With Napoli beating Red Star Belgrade 3-1, in a tight group Liverpool must now win either 1-0 or by two clear goals at home to the Italians in a fortnight if they are to progress. Such a regression in Europe would be a big blow to Liverpool, even if it could conceivably help them in the Premier League. Meanwhile, PSG head to Belgrade for their last game still needing to win to be certain of advancing, but at least they have their fate in their hands. 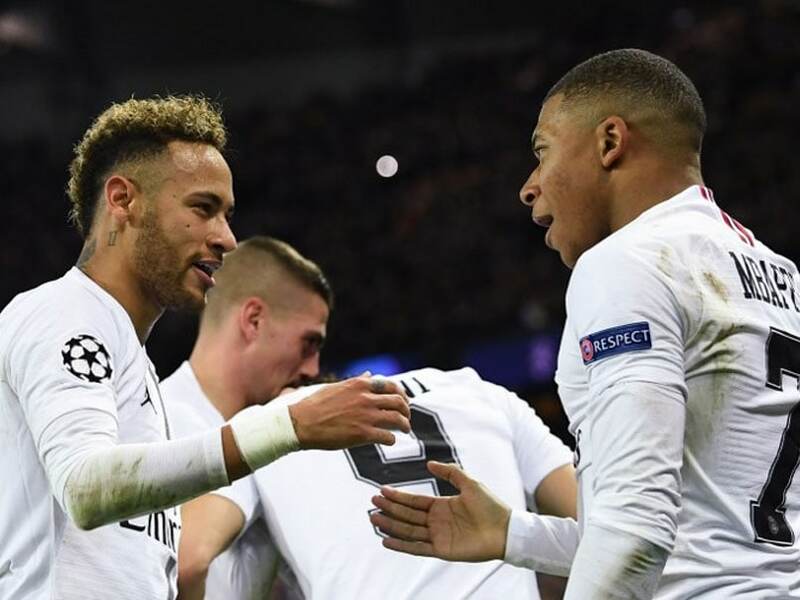 "It was our last chance to show that we are capable of competing with a team like Liverpool, a team with an incredible mentality," said PSG coach Thomas Tuchel. "Everyone was ready to suffer for each other. 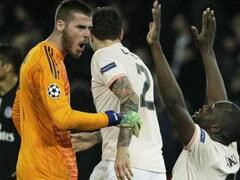 That was necessary against Liverpool and it was a big step forward for us." PSG had only won one of their previous seven games in the competition. However, Klopp's side were completely overrun in the opening stages at the Parc des Princes. Angel di Maria had forced a fine save from Alisson with a dipping volley before Paris went in front in the 13th minute. Kylian Mbappe tried to square for Edinson Cavani, but the ball broke to Bernat, and the Spaniard swept home his second goal in this season's competition. Verratti's challenge on Gomez came midway through the first half, but PSG survived that and went on to double their lead thanks to a clearly wound up Neymar. He had been drawing fouls from opponents and whipping up a fervent home crowd before he burst down the left in the 37th minute, combining with Mbappe. The France star crossed low for Cavani, whose attempt was saved by Alisson, but Neymar converted the rebound. 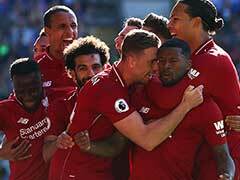 That should have ensured a comfortable cushion for the hosts at the break, but Liverpool were gifted a route back into the game in first-half stoppage time. Di Maria brought down Sadio Mane just inside the area. The referee did not initially give a penalty but then rightly changed his mind, and Milner beat Gianluigi Buffon from 12 yards. Understandably given the high stakes, PSG sat back more and more in the second half, although they still came closest to scoring again from a Marquinhos header, and their win was fully deserved. "We were not worried about playing at home. We know how strong we are and we always knew we could do it," said Mbappe.